memory | Jerrie Hurd Takes Family History Seriously . . . Truth Better Than Fiction OR Vice Versa? And who isn’t wise enough to gloss over a few things when we tell our stories? Ah, but where is the line between applying a little wisdom and telling a story that never happened? 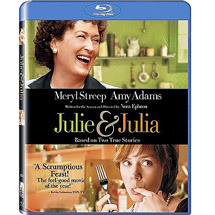 I will confess that I loved the movie Julie and Julia, about Julia Child and a cooking blog by Julie Powell. I liked the idea that the movie was based on real events. That doesn’t mean that I expected every single detail to be true. That never happens. My husband and I can come home from the same dinner party and remember the evening entirely differently. Everything we do is colored by memory, expectation, our differing feelings and experiences. Not to mention whatever wisdom we’ve applied to the things we’d rather not recall. Nevertheless, when I picked up the book Julie and Julia and read the disclaimer that parts of the book had been fictionalized, I put it down again. As a reader, I didn’t want to wonder which parts. The following article from thedailybeast.com argues that some true stories are better as fiction. I agree. I also like memoir. Mostly I want them to be clearly one or the other. However, wisdom aside, even that may not be as easy as it sounds. See what you think . . . According to the International Time Capsule Society at Atlanta‘s Oglethorpe University, 90% of time capsules are never recovered–best estimate, 10,000 lost worldwide. We forget. We can’t find them. We don’t care. They’re too expensive to dig up. Name your excuse . . .. The same can be said for family stories, family photos, other mementos. We keep trying. The Crypt of Civilization, also located at Oglethorpe University, is a swimming pool size time capsule sealed in 1940 to be opened in 8113. The walls are covered with pictographs because it is assumed that by 8113 even the known languages of our world will be forgotten. The future beckons. The day-to-day is hard to ignore. The past? What do we lose when we lose the past? Tagged as 8113 AD, Altanta, Crypt of Civilization, Family Photos, Family Stories, International Time Capsule Society, memory, Olglethorpe University, pictogaphs, stories, the past, time capsules, Why Stories? “We carry with us every story we have ever heard and every story we have ever lived, filed away at some deep place in our memory. We carry most of those stories unread, as it were, until we have grown the capacity or the readiness to read them. When that happens they may come back to us filled with a previously unsuspected meaning. It is almost as if we have been collecting pieces of a greater wisdom, sometimes over many years without knowing.” –Introduction to Kitchen Table Wisdom by Rachel Naomi Remen M.D.